Minutes to Manasota Beach with lap pool. 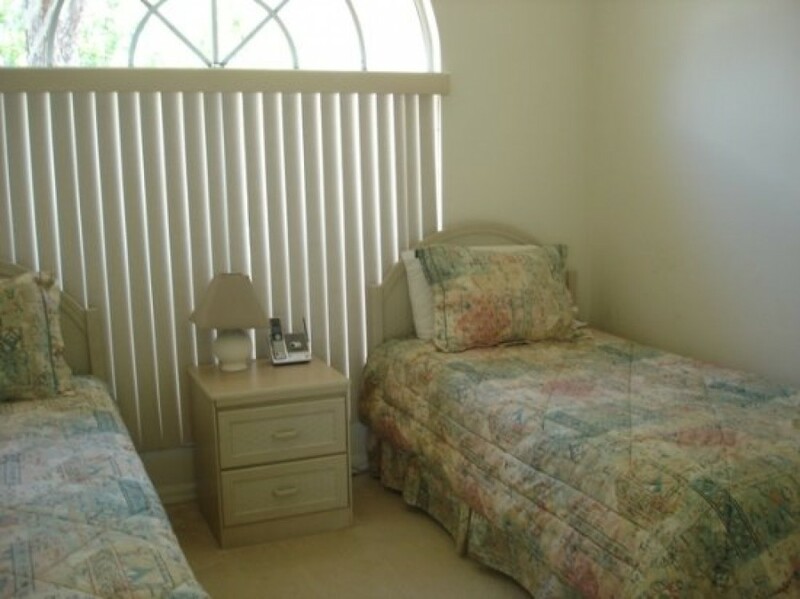 Upon entering this comfortable vacation home you come into the large family room with comfortable sofas and TV. You then move through this open plan home to the bright, sunny kitchen, which is large and fully equipped with all the modern conveniences. It also has a breakfast nook with large table and chairs which looks out over the pool area. The master bedroom is very spacious with queen size bed, walk in closet and a full en-suite bathroom with walk in shower and large tub. There are three other guest rooms in the house, one with a full bed and the other two having twins. There is a full second bathroom with shower tub and vanity. The pool area is very nice with lots of seating for sunning and relaxing. This home is close to shopping and restaurants and only a few minutes from Venice beaches. A very special vacation home.